The Next Step Program encourages and assists students in taking the “next step” on their career pathways. As YCLC Adult Reading students and English as a Second Language students are reaching their educational goals, the Next Step Coordinator provides individual assistance and referral services related to higher educational goals, employment opportunities and attaining citizenship. Next Step also offers services to our former students and the YCLC Alumni Group. 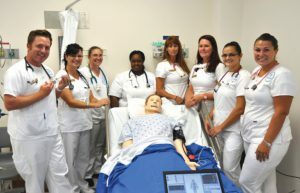 Pre-Nurse Aide Course Next Class Starting Soon! High School Diploma or Equivalency Diploma (GED). Test Minimums: Reading Level 7th grade, and Math Level 7th grade, per the TABE assessment. Successful State Police Criminal Background check. You must have been a resident of Pennsylvania for the past 2 years or more. You MUST submit your PA Driver’s License or State ID at your interview. Those with shorter residency will require an FBI background check, a 2-week process that must be completed for application to be considered. PREFERENCE for acceptance into this Training will be given to those with NO criminal record, including any and all past summary charges, misdemeanors and felonies. Also, all felonies and certain misdemeanors are automatic disqualifiers for Nurse Aide training by the State of PA law. Physical: Must be free of communicable diseases, physically fit, and able to lift 40 pounds. Students who have certification in another health-related field will be considered after those without previous training. Students who have lost Nurse Aide certification due to lack of renewal will be considered after those without previous training. NOTE: These are only a few of the requirements for the training, and do not guarantee a place in class. Week #1: Please wear appropriate non-uniformed clothing. Week #2 and throughout training: Solid white top and bottom scrubs are mandatory daily attire with non-visible undergarments. Shoes: Must be clean, white, waterproof, clinical-style, low-heel, with non-skid soles. No clogs, canvas, sandals, stacked heels, open-toe, open-heel or heel-strap shoes. Sweater(if needed): Must be washable cotton, button-down and not baggy in white, navy blue, gray or black. Fingernails: No longer than 1/8 inch, and only clear, non-chipped polish may be worn. Jewelry/Tattoos/Piercings: If married, a smooth, plain band may be worn. Earrings may not dangle below earlobe with a limit of two earrings per ear. No bracelets, necklaces or visible body rings. Visible tattoos must be covered. No tongue, nose or other visible piercings. Wristwatch: A wristwatch is mandatory and must have a second hand. Personal Hygiene: Daily bath/shower with soap and water. Use an anti-perspirant or deodorant. Hair should be clean, neatly groomed, worn off the collar and secured away from face. Men with facial hair should be clean shaven with neatly-trimmed beards, mustaches or sideburns. To register for Orientation, please download and complete the Initial Contact Form. Next Step Program services are available to current and former YCLC students. The program is offered to former students who have “graduated” from YCLC, current students who are leaving the program and ready for the “next step”, as well as current students who have made acknowledgeable progress. 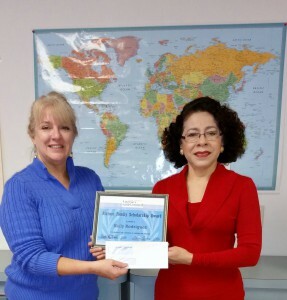 ESL students must be intermediate or advanced level. Students may be referred to the Next Step Program through their class, tutor or coordinator; or they may call and make an appointment. Kelly receives a $500 scholarship for furthering her education through the Blatner Scholarship Fund! A $500 scholarship is awarded to a current YCLC student each year in the spring and fall. The Blatner Scholarship will be used to help fund tuition and other costs (books and school supplies) for continued education of an YCLC student. In order to be considered for the scholarship, students must follow scholarship requirements. The winner will be selected by the Scholarship Committee. For additional information, call 717-845-8719 or email next.step@yorkliteracy. YCLC was able to help Marcos see his full potential and recognize that getting his GED/HSE was a very real, attainable goal he could achieve. Marcos passed each subtest on the first attempt. Receiving his diploma gave Marcos the confidence to take the next step to find a better job. 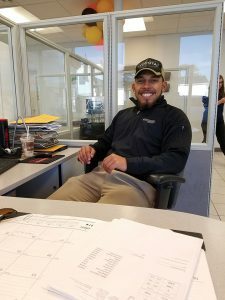 With the help of the Next Step program, he was hired as a salesman, a position with which he can now support his growing family. Marcos is looking forward to the day when he will run his own business and be a role model not only for his family but for others in his community.